Credit for the Age of Discovery tends to be given primarily to the great maritime explorers, navigators and merchants of the fifteenth and sixteenth centuries, who opened up a “New World” for European exploitation. Whilst these actors undoubtedly deserve a lot of the credit they receive, the Age of Discovery was much more than a prolonged period of maritime exploration. Although these men found routes to the coasts of new found lands, they rarely pushed any further, leaving the vast interiors of these lands undiscovered. This element of discovery was therefore left to merchants, individual travellers and, in particular, the Catholic Church. Catholic missionaries quickly followed the early explorers to newly-discovered lands in order to commence their programs of evangelisation and subsequently penetrated the interior of these lands in an attempt to spread their Christian message to the “idolatrous” natives. Both the Mendicant orders and Jesuits played an important part in extending the boundaries of the Age of Discovery to the interior, even if their primary motives were not often guided by exploratory desire. This essay will argue that there were four main reasons for this success. Firstly, the zeal for conversion amongst the Catholic missionaries led them to move deeper into unknown continents in an effort to destroy any idolatrous beliefs. Secondly, the search for already Christianised peoples extended discovery beyond the coast. Thirdly, the work of the Jesuits specifically must be acknowledged as crucial to the Age of Discovery, as their willingness to adapt to alien cultures allowed them passage into territories impenetrable for European armies and explorers. Finally, the massive written contribution of the Catholic Church was essential to extending the Age of Discovery beyond coastal borders. Discovery does not merely imply finding but also reporting back what was found and in this the religious orders excelled. The converting zeal of the Catholic Church in general, and the Mendicant orders in particular, during the Age of Discovery is summed up by sixteenth-century Franciscan Geronimo de Mendieta’s claim that the goal of missionaries should be “the final conversion of all peoples of the earth to the bosom of the church.” The desire to convert the world’s population to Roman Catholic Christianity meant gaining access to all these people and maritime exploration began this process. Missionaries soon followed the first explorers to the New World, with Christopher Columbus bringing the first Catholic friars over on his second voyage in 1493. These early representatives of the Catholic Church did not extend the boundaries of the Age of Discovery as they were confined to the small islands of the Caribbean. However, as soon as the Spanish had established themselves on the American mainland after the Aztec conquest between 1519 and 1521, the role of the missionaries inadvertently changed. The conquest gave the newly arriving Franciscan, Dominican and Augustinian friars a base from which to carry out their missions into the Central American interior, discovering new settlements and peoples as yet unknown to the Spanish conquistadors. This pattern of military conquest followed by spiritual conquest was a familiar element of Spanish discovery in the New World, as conquistadors and Mendicant friars worked in tandem to first subdue and then convert the native inhabitants. This occurred not only in New Spain after the Aztecs fell but also in the Yucatan Peninsula, where missionaries penetrated the previously unknown jungle communities of the Maya, and in South America, where Franciscans in particular travelled ahead of the conquistadors to unfamiliar and inhospitable territories. This process of conversion attempts leading to further discovery of the interior was not merely confined to the Spanish. Franciscans played a vital role in extending the boundaries of the Portuguese Empire in Brazil, as their missions to native village dwellers in the interior of the country opened up new areas for colonisation. Similarly, seventeenth-century French missionaries were important in discovering vast areas of the North American inland. For example, Father Jacques Marquette’s missionary endeavours amongst the Huron and Iroquois led him to discover and map a significant amount of the previously unexplored Mississippi River. Marquette was a Jesuit and indeed this order was also important in pushing the Age of Discovery into the interior of continents through their evangelising activity. The Jesuits were particularly active in the Far East, as some believed converting China to Christianity would create a “domino effect” that would see Catholicism spread throughout the region because of the high contact levels between Chinese merchants and their neighbours. However, whilst the Mendicant orders focused their conversion attempts on the peasants and poor, the Jesuits attempted to convert the elites first and this, along with arguments over the methods of teaching Catholic doctrine, created tension between the orders. The competition for influence over the native inhabitants arguably increased the activities of the Catholic missionaries, pushing the Age of Discovery into previously unknown areas as part of a “war of conversion.” Maritime exploration was an essential precursor to such activities. Yet it was the representatives of the Catholic Church that possessed the zeal to extend this exploration, moving the Age of Discovery beyond a phenomenon of coastal trade and settlement. As well as their evangelising efforts, the Catholic Church was also determined to find already Christianised peoples located in the newly-discovered lands, as the medieval myths suggested there would be. This coincided with a political incentive for further discovery as the Iberian powers sought the legendary kingdom of Prester John, Christian king amongst “heathens” in the East, who could be an important ally in their crusades against the Muslims. This combination of political incentive and religious desire helped push the boundaries of the Age of Discovery beyond coastal regions for over a century. As early as the 1480s two monks journeyed to the Middle East in search of the Prester’s kingdom, returning unsatisfied but with reports of lands unknown to European contemporaries. However, it was the growing rumour of a Christian presence in Ethiopia in the African interior, deriving from Portuguese exploration of the North and Western coasts, which saw the beginning of more organised efforts between Crown and Church to find Prester John. Both the Portuguese king and the Catholic Church sent their own representatives into the interior. The former commissioned Pero da Covilha in 1487 and the latter sent several missionaries, all of whom would reach what was perceived to be Prester John’s kingdom. Whilst these noteworthy achievements marked the first significant penetration of the East African interior by Europeans, the fact that Covilha and the missionaries were not permitted to leave the Ethiopian kingdom meant their observations remained unknown, not contributing to any new discovery in European eyes. What proved a more successful venture was the joint political-religious embassy sent by Manuel I of Portugal, led by Rodrigo de Lima and Franciscan missionary Francisco Alvares, which arrived at the Ethiopian coast in 1520. The embassy moved deep into the interior of the African continent with Alvares compiling the first detailed account of the realm of Prester John. Whilst the man presumed to be the Prester, Ethiopian emperor Lebna Dengel, did not display the pure Christian traits hoped for by the Portuguese, he gave the embassy a detailed insight into his people’s Monophysite beliefs and customs. More significantly, he allowed Alvarez to return to Portugal in April 1526 ensuring the Age of Discovery was extended for Europeans with new knowledge of the African interior. 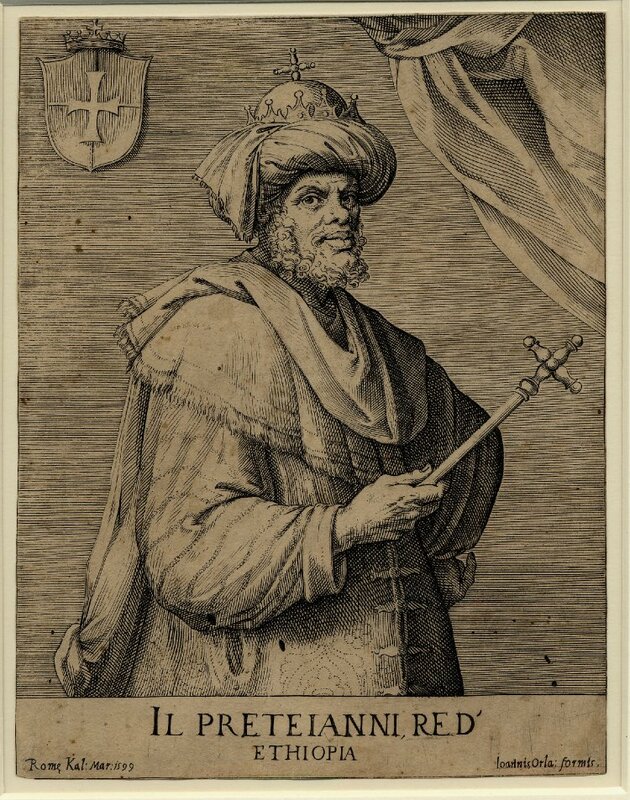 The interest in Prester John was not merely held by the Portuguese Catholics, and indeed the early encounters with the Nestorian Christians of Ethiopia encouraged further religious discovery later in the sixteenth century. Spanish as well as Portuguese personnel made up the Jesuit missions to Ethiopia in the 1550s and 1560s, which had originally been designed by Jesuit founder Ignatius Loyola in an attempt to convert Prester John to a strictly Catholic religion. Whilst the missions were not successful they contributed significantly to the Age of Discovery, as the Fathers recorded newly-traversed lands and peoples, as well as making corrections to Alvares’ earlier account of the African interior. An even more detailed account of Ethiopia was made by Jesuit Pedro Paez, who travelled across the empire at the beginning of the seventeenth century building on the work of his Catholic predecessors to achieve a greater level of understanding of an unfamiliar society. His History of Ethiopia can be seen as a culmination of Catholic enterprises to the mythical realm of Prester John, each supported by a strong political force, and each contributing to the discovery of the interior that the early explorers often neglected. The literary legacy of the Middle Ages was an important motivator for the Age of Discovery, as the Europeans searched for the people and lands recorded by medieval travellers and writers. The quest for Prester John was a result of this legacy, as were the attempts to identify the legendary lands of Cathay and Cambaluc detailed in Marco Polo’s thirteenth century travel manuscripts. The Catholic Church played a significant role in the latter (as well as the former), with Jesuit Bento de Góes’ travels across Central and Eastern Asia identifying China with the kingdom of Cathay at the beginning of the seventeenth century. This expedition by de Góes is just one example of the numerous incursions into the interior of continents made by the Jesuit order during the Age of Discovery, as they revealed previously undocumented geographical, physical and social phenomena in Africa, the Americas and the Far East. The primary reason why the Jesuits were so important in extending the Age of Discovery was their desire and ability to adapt to native cultures and customs. Unlike the Jesuits the Mendicant friars tended to preach from a detached stance, attempting to supplant native beliefs with European Christianity, often forcibly, in order to achieve the quick conversion they desired. This made them suited to push the Age of Discovery into the interior of lands already conquered by the Spanish and Portuguese, such as New Spain and Brazil, as their aggressive evangelisation tactics would not be so often challenged by already subdued people. 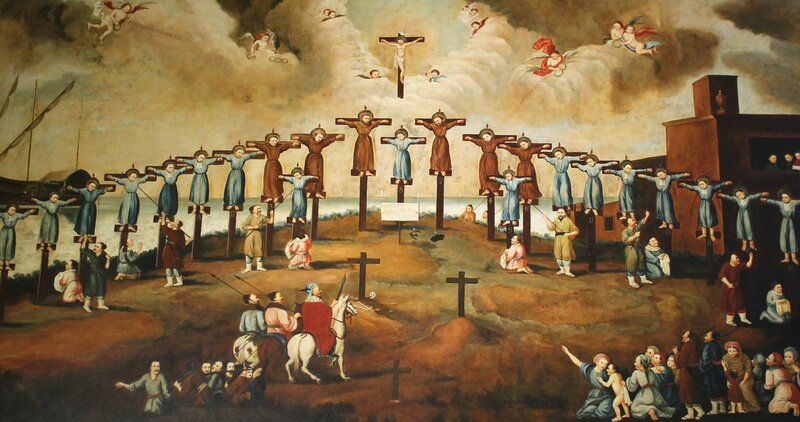 However, when attempting to penetrate unconquered lands they met with little success, as highlighted by the massacre of several Franciscan friars in Japan in 1597 on account of their association with conquest and colonisation. The Jesuits adopted a far more subtle approach to conversion, placing great emphasis on acculturation with native customs in order to better communicate their Catholic doctrine to indigenous leaders and other elites. This greater ability to communicate with and understand the natives enabled passage for Jesuit missionaries into previously unknown territories. As early as 1549, less than a decade after the Jesuits were officially sanctioned by the Pope, Francis Xavier travelled three-hundred miles into Japan, noting local customs that would serve Portuguese traders well in their early encounters with the Japanese. In a letter of the same year Xavier emphasised the importance of learning the native language in order to spread the Christian faith successfully, a ploy that would allow Jesuit missionaries to push the boundaries of the Age of Discovery in their other realms of activity. These tactics were pursued to great effect by Michele Ruggieri and Matteo Ricci in China in the late sixteenth century under the strict orders of Alessandro Valignano, the Jesuit supervisor in the Far East during this period. 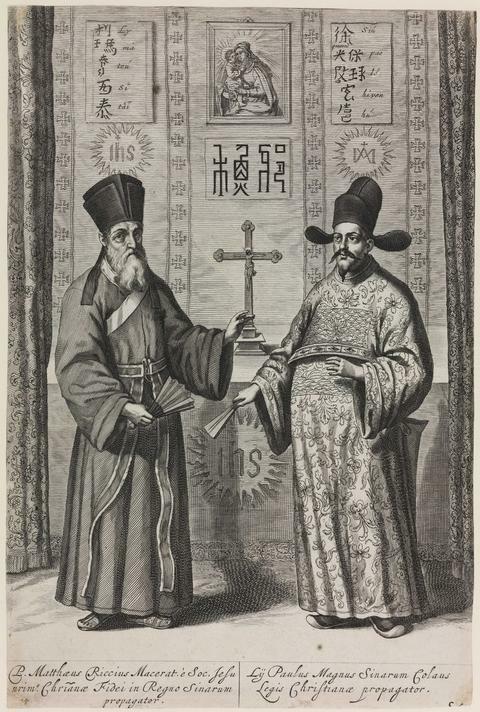 Their belief that with “preliminary religious knowledge they might prepare the way to higher regions of divine realities” gained the trust of Chinese provincial leaders, allowing the Jesuits to penetrate an extremely isolationist country and move the Age of Discovery from the Portuguese base at Macao to which they had been restricted for half a century. Ruggieri and Ricci’s extensive travels and observations throughout the Ming Empire also helped initiate a rediscovery of a land Europeans had been expelled from in the fourteenth century. Again, learning the native language was of essential importance in this process, both to gain preliminary knowledge of Chinese customs and effectively elucidate the merits of Catholicism to the natives. Despite never having more than sixteen fellow missionaries, Ricci was able to collate a wide body of information about Chinese society, not merely restricted to religion, which would help dispel some of the rumours still lingering from medieval literature. The ability of such a small group to uncover so much is remarkable considering the thousands of men required for the maritime explorations and military conquests that initiated the European Age of Discovery. Nevertheless, their adaptation to native cultural norms gave them greater acceptance than other, cruder missionaries and explorers, enabling them access to unfamiliar lands and people. The role of the lone traveller increased during the fifteenth and sixteenth centuries, as individuals exploited improved transport networks to gain greater knowledge of the interiors of distant continents. Whether for mercantile purposes like Anthony Jenkinson’s travels through Central Asia, diplomatic journeys such as undertaken by Joao de Castro in the Far East or simply out of curiosity, as highlighted by Ludovico di Varthema’s expedition throughout Asia, these individual efforts contributed massively to the Age of Discovery. The Jesuit missions of the period had a similar impact, as their small size combined with their efforts of acculturation undoubtedly reassured native leaders that their presence would not pose the threat that European armies or mass evangelisation movements, like the Inquisition, offered. For example, a small number of missionaries such as Bento de Góes and Francis Xavier spent considerable time with the Mughal Emperor Akbar in the late sixteenth century, attaining information of a kingdom not traditionally open to foreign visitors. In more primitive lands the restricted size of the missions carried a logistical benefit, as they were able to negotiate difficult terrain for prolonged periods, something cumbersome armies could not do. 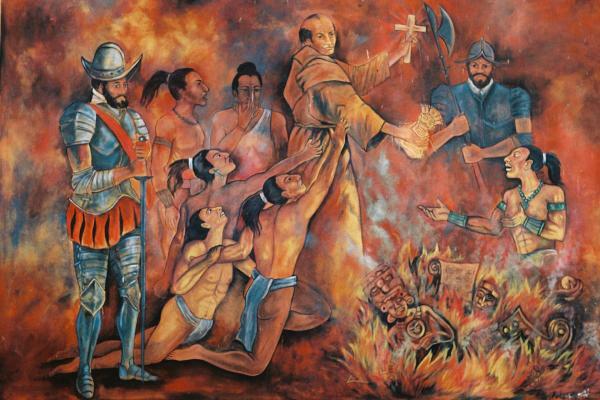 The mission of the Jesuits to the Guarani Indians of Paraguay in Spanish South America is a prime example, as they fought through inhospitable lands to report of a society unknown to Europeans in the early seventeenth century. A lack of manpower would limit the effectiveness of the Jesuit evangelisation mission to Paraguay, as it would in the Far East also. It is therefore ironic that the cause for these missions’ relative failures was also the reason why they were so important to the discovery of the interior in the sixteenth and seventeenth centuries. Whilst such subtle efforts were not completely restricted to the Jesuits, the general approach of the Mendicant orders was one of mass evangelisation, which did not allow the same kind of discoveries as the smaller missions. However, one way they did contribute significantly to interior discovery was through their extensive writings of their experiences in new lands. The early arrival of Mendicant missionaries in the “New World” meant their accounts provided some of the earliest insights into its natural and social composition for the ignorant people of Europe. This was perhaps the most important contribution of the Catholic Church to the discovery of the interior in that whilst many travelled to the new lands discovered by maritime explorers, few wrote of them in such depth as the missionaries. Without such writings, experiences cannot be judged discoveries and indeed the exploratory merits of the Jesuit missions were particularly strong because of the many volumes of letters exchanged between the missionaries and their Roman advocates on what they found. The first significant written contribution came from the Mendicant friars of New Spain. The works of Motolinia, Mendieta, Las Casas and Sahagun provide an overview of native lives in the Mexican interior and Spanish attempts to settle in an unfamiliar environment. The missionaries in Peru produced similar works and also compiled Spanish-Quechuan dictionaries based on their interactions with the natives. Not only were these translations a discovery in themselves but it is also likely they contributed to further discovery, as European missionaries could now communicate more ably with the natives, allowing them a greater understanding of their customs. However, the contributions of the Catholic clergy in the “New World” were not always positive. As well as writing about their discoveries, some also destroyed native manuscripts and idols which were seen as heretical by zealous churchmen, such as Diego de Landa in the Yucatan Peninsula. These acts of cultural barbarity restricted discovery, as they removed a crucial element of understanding native customs and history. Having said that, a considerable amount of the Catholic writings were of great anthropological and political worth to European society in the sixteenth and seventeenth centuries. The vast distances covered by the churchmen on their evangelisation missions allowed them to report on an array of new discoveries. For example, Spanish Jesuit José de Acosta made a significant contribution to the discovery of unknown plant life, social rituals and geographical formations whilst travelling Peru in his official capacity, recorded in his Natural and Moral History of the Indies. Franciscan friar Marcelo Ribandenyera travelled extensively throughout the Far East in the 1590s as part of various missions and in the process recorded details of primitive and advanced societies that helped shape European perceptions of the region after his Historia was published in 1601. In the seventeenth century Dominican friar Domingo Fernandez Navarette published his Tratados of China, in which he attempted to explain the ethnographic and geographical idiosyncrasies of the country by comparing them to European counterparts. Furthermore, Augustinian bishop Juan Gonzalez de Mendoza compiled a hugely influential reference book on China which transmitted the discoveries of his religious order to a European audience, even though Mendoza himself never left Europe. Political discovery was also disseminated through Catholic writings, especially that of the Jesuits. The letters of Bento de Goés and Fernao Guerrero shed light on the political realms of Mughal Emperors Akbar and Jahangir respectively. Similarly, Francis Xavier and Alessandro Valignano uncovered the political realities of the complex Japanese feudal system and Ricci’s reports served a similar purpose in China, as well as contributing to cartographical and scientific knowledge of the region. In the “New World,” French Franciscan Louis Hennepin described the political associations of the native inhabitants, as well as a plethora of geographical phenomena, relayed to France via several publications in the seventeenth century. All these writings allowed the interior discoveries of explorers and churchmen alike to be transmitted back to the Old World, making distant lands more accessible to Europeans and aiding the scientific and colonial development of European states. Additionally, the early writings of discovery, such as those by Francisco Alvares in Ethiopia, encouraged further discovery of the interior as missionaries outlined the potential of these new lands. However, Pagden suggests that such writings did not constitute true discovery as they de-contextualised their subjects from their reality in an attempt to make them comprehensible to a European audience. Furthermore, it must be acknowledged that the accounts of the Catholic travellers were not always based on pure observation, with vested interests for themselves or their order likely to have shaped their works. Francis Parkman’s attack on the validity of Hennepin’s writings is an example of how some of these churchmen possibly fabricated certain discoveries, bringing into question a whole range of work. The concerns of Pagden and Parkman are important yet the fact remains that the writings of the Catholic Church regarding discovery of the interior made their way back to the Old World and heavily influenced European thinking and political development, no matter how valid they may have been. The missionary zeal of all the Catholic orders enabled their representatives to travel into continents undiscovered or long forgotten by European explorers and travellers. It is tempting to see the Jesuits as the principle contributors to this Catholic discovery, as their subtle evangelisation techniques, constant correspondence with Europe and highly educated clergy ensured they both gained access to unfamiliar societies and reported their peculiarities back to Europe. Nevertheless, the Mendicant orders were just as significant. They provided the first missionaries to all the continents outside Europe, as their Medieval influences drove them after the maritime explorers. Whilst they may have been constrained by the political interests of the Iberian powers, their own written contributions to discovery were just as prevalent as the Jesuits, although unfortunately they were also responsible for the destruction of many native works. Altogether, the Catholic Church built on the maritime exploration of the great navigators to reveal a whole new aspect of discovery, which in turn broadened the interests of the European powers and people as it illuminated the potential benefits of venturing beyond their coastal strongholds. A. Pagden, European encounters with the New World: from Renaissance to Romanticism (New Haven; London, 1993) p.
The capture of the ancient settlement of Palmyra in Syria by ISIS terrorists has understandably led to great concern that yet another of the Middle East’s precious archaeological sites is about to succumb to destruction. Everywhere ISIS has gone, historic monuments and heritage sites have been ransacked and destroyed as the group continues its barbaric attempts to destroy history. A biblical city with an almost unrivalled history, Palmyra has played host to numerous civilizations. It was part of the Roman Empire until a short-lived revolt under Queen Zenobia in the 3rd century led to a Palymrene state. It was reestablished as an important regional city under both Christian and Muslim rulers, including the Byzantines, the Ummayads and the Mamluks until finally coming under Ottoman influence. Until the recent civil war, excavations at Palmyra were ongoing and regularly uncovered a variety of objects hailing from its multitude of rulers, in addition to thousands of tessera from the Roman era. Its location at the base of a triangle between the cities of Damascus, Aleppo and Homs gave it strategic and mercantile importance. Today, its location puts it in the heart of a merciless battlezone that is likely to cause its final destruction. Despite changing hands on numerous occasions and witnessing some significant damage, Palmyra was never razed from the map. It appears as if its striking ruins and tangible heritage prevented its conquerors from carrying out such a grisly task. Unfortunately, ISIS is unlikely to prove so acquiescent. Whilst the human toll of the current conflict in the Middle East is undoubtedly more serious, the destruction of history – in a place where it began – is truly saddening and a testament to the forces of evil now operating there. Amidst the chaotic remains of Palmyra, one never knew what they might find. Sadly, now, we may never know.